These days wrist based heart rate wearables are a dime a dozen. But while these types of sensors have improved, their accuracy remains questionable. This is particularly the case at high intensity activity. Moov is a company which has consistently taken an innovative approach to activity tracking. The outfit has now come out with HR Burn, a heart rate monitoring chest strap. It joins the EKG-accurate HR Sweat, which was announced back in October. HR Sweat is due to start shipping any day now, while HR Burn will be available from mid March. Both devices can be purchased from Amazon or the Moov website. The third generation trackers build on the advanced 3D motion tracking and real-time audio coaching functionality of Moov’s other devices. HR Sweat and HR Burn take this a step further by adding technology to monitor your heart rate. “We want everyone to be able to get the most out of their workouts and having accurate heart rate measurements is a crucial part of that. 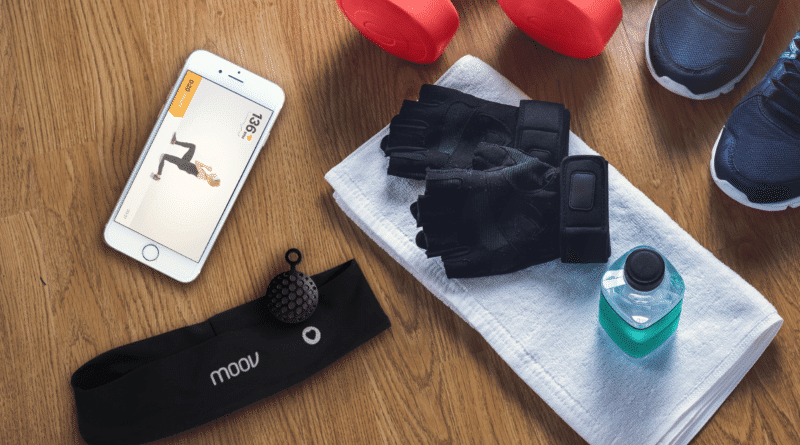 Despite current wearables, boutique gyms, and other devices that claim to provide heart rate measurements, accuracy is not always reliable,” says Moov. The more interesting of the two is HR Sweat. The tracker is embedded in a sweatband or swim cap to get what Moov says is a more accurate pulse reading than from your wrist or chest. The information is then relayed to the smartphone app which provides real time feedback and coaching based on your heart rate. The tracker will guide you to get the most out of your workouts and keeping burning those calories hours after your workouts. Simply follow the voice coaching which will keep you in the correct heart rate zone. Workouts are adjusted with variety and intelligence to get you the right intensity. For example, there is a high-intensity interval program. This is an exercise strategy alternating short periods of intense anaerobic exercise with less-intense recovery periods. Varying the intensity of effort exercises the heart muscle, providing a cardiovascular workout, improving aerobic capacity and permitting the person to exercise for longer and more intense levels. HR Sweat uses technology that is not too dissimilar to wrist based heart rate sensors. The tracker shines a LED light to illuminate the skin and measures changes in light absorption. The amount of light absorbed by the tissue is affected by the perfusion of blood that occurs as blood pulses through your body. The wearable uses these changes to determine your heart rate. Research has shown that the forehead is one of the best places on the body to measure heart rate with this type of technology. In fact, the device was benchmarked for accuracy at the Human Performance Lab at the University of California-San Francisco. Moov says, results rivaled medical EKG equipment. In terms of design, the sensor slips into a sweat-absorbant headband. It also comes as Moov HR Swim, the exact same technology in the form of a swim cap. This means you can get reliable heart rate data during those pool sessions. In terms of battery life, expect to get six hours of continuous use, one week with daily use and one month of standby. It is worth noting again, just like most chest straps Moov HR Sweat and Moov HR Burn are only heart rate monitors. So don’t confuse them with the Fitbit Charge 2 or Garmin Vivosmart HR. They will not track your activity stats. But you can combine them with Moov Now/Moov Classic, which are worn on the wrist or ankle. They work seamlessly together with the smartphone app to give you a more complete workout experience.